Out of stock since Monday, 18 February 2019. Due back Friday, 10 May 2019. Out of stock since Tuesday, 12 February 2019. Due back Friday, 30 August 2019. Out of stock since Thursday, 28 February 2019. Due back Friday, 26 April 2019. Out of stock since Monday, 11 March 2019. Due back Friday, 26 April 2019. Out of stock since Tuesday, 27 November 2018. Due back Friday, 10 May 2019. 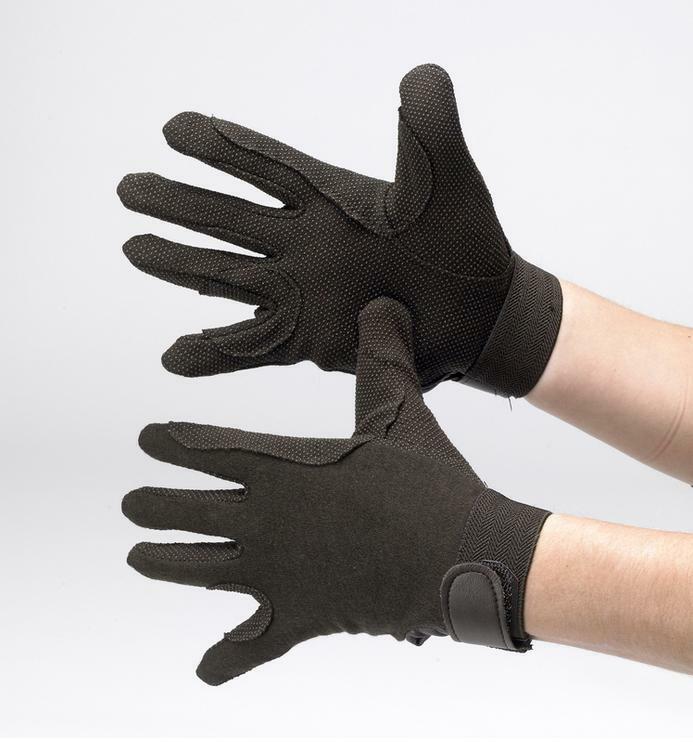 The Hy5 Cotton Pimple Palm Gloves are 100% cotton knit gloves featuring pimple palm grips. Velcro closure fastening wrist straps. Machine washable. There are currently no questions for Hy5 Cotton Pimple Palm Gloves - be the first to ask one!